Turkana is a Link Style Course with 4 sets of tees. Every level of player, from beginners to professionals, will enjoy the rolling terrain and test of skill. Each hole presents a unique challenge as you step on the tee box. 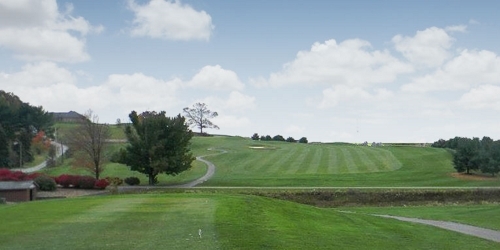 Keep your focus, follow the flow of the course, and at the end of your round you will have enjoyed one of the best golf experiences in East Liverpool. Mention Package Code: GOLFTRIPS19 when you inquire to receive a free breakfast for everyone in your group, everyday on your golf trip. Call 877-534-6789. When calling 877-534-6789, please mention you saw this golf package on OhioGolf.com and mention promo code: GolfTrips19. Turkana Golf Course reserves the right to change price and offer at anytime. Prices and offer are subject to change without notice. OhioGolf.com is not responsible for errors posted in this golf package.